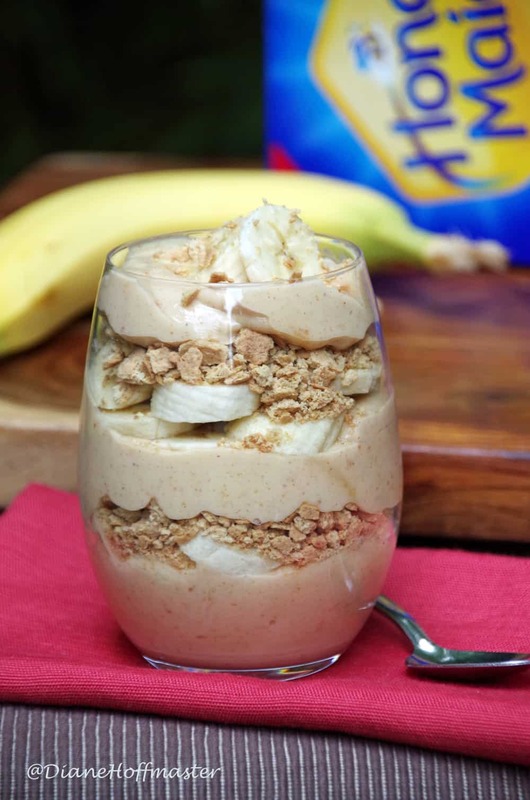 This Peanut Butter and Banana Healthy Parfait Recipe has been sponsored by Mondelez. All opinions expressed here are my own. School will be starting back for my children in exactly 4 weeks. While I have enjoyed our summer vacation so far, I am ready for the teens to get back into their school day routine. Of course, back to school means back to school shopping. Backpacks, sneakers, new lunch boxes and a whole bunch of healthy snacks are on my back to school shopping list. I pack several lunches every single day, not to mention quick and healthy after school snacks to help keep the kids fueled up for extracurricular activities. 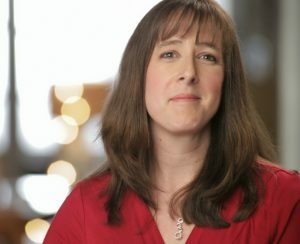 With our busy schedules, it is often hard to find time to reconnect with my teens. However, the one time I KNOW I can get them to sit still and talk to me is when there is food involved! After school snack time, family dinner, and weekend breakfasts are all great times to find out what is going on in my kids’ lives. Bonding with my kids over wholesome food helps keep us healthy and strong in both body and mind! If you love after school snack time, you can also check out my butterscotch oatmeal cookies! Honey Maid Graham Crackers contain wholesome ingredients that my kids actually enjoy eating. They have been a part of my family’s life for many years. 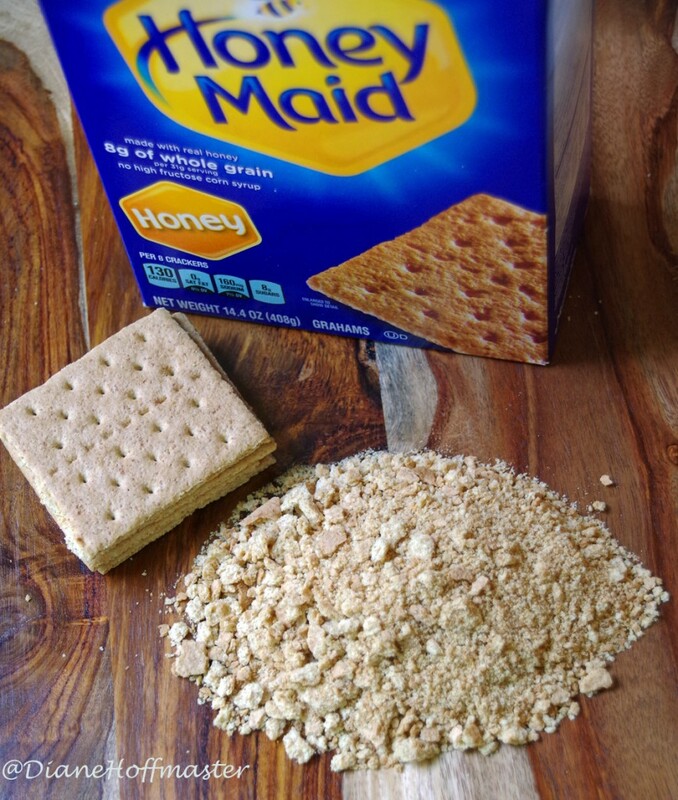 From S’mores around the campfire to snacks along the hiking trail, Honey Maid Graham Crackers are a huge hit. Staying strong and wholesome as a family means making memories together that will last a lifetime. Strong family bonds will help bridge the communication divide that naturally occurs as your kids get older. No matter what your family looks like to others, the bond you create together is more important than anything else! And no matter how things change, or what makes us different from one another, what makes us wholesome stays the same. Regardless of age, culture, sexuality, or relationship status, family is family. And to stay strong, family needs to make time for each other. I look forward to the times I sit with my teens and talk about their day. Sure, I only understand about half of what they are saying but that’s when I turn to Google to figure out what their ‘teen speak’ means! My daughter once told me that some boy’s quiff was on fleek. Thanks to Google I figured out he had really nice hair! Some days I think they are speaking Greek but I still try to listen. Sit together with your kids at the kitchen table and really hear what they have to say. You might be amazed at the things you learn! Having trouble getting them to sit still? Consider incorporating Honey Maid Graham Crackers into healthy recipes to get them to come running. 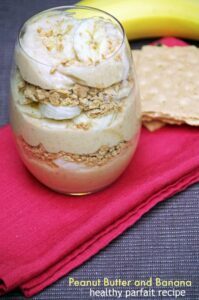 This Peanut Butter and Banana Healthy Parfait Recipe is loaded with protein and fresh fruit with a light crunch from the Honey Maid Graham Crackers. The perfect addition to our after-school chat! This peanut butter and banana healthy parfait recipe makes a great after-school snack for hungry kids! Looking for more healthy snack recipes? 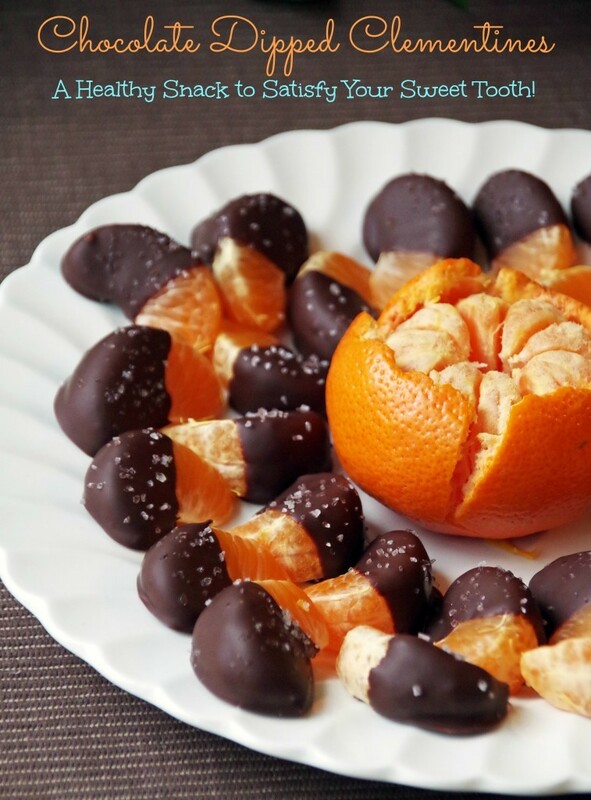 Try these chocolate dipped clementines! Peanut butter and banana is one of my very favorite combinations. Sounds amazing! It's great how simple this is to make. I bet my nephew would love it as an afternoon snack. my kids certainly enjoyed it! Bananas and peanut butter are my favorite snacks. This recipe looks amazing and I cannot wait to make it. Hope you enjoy! It is a delicious combination! I have been craving sweet desserts lately and this sounds fantastic. I love that it is loaded up with bananas mixed with in there. I love healthy parfaits with fruit and yogurt! I never thought to add a banana into mine before though. that would be delicious!